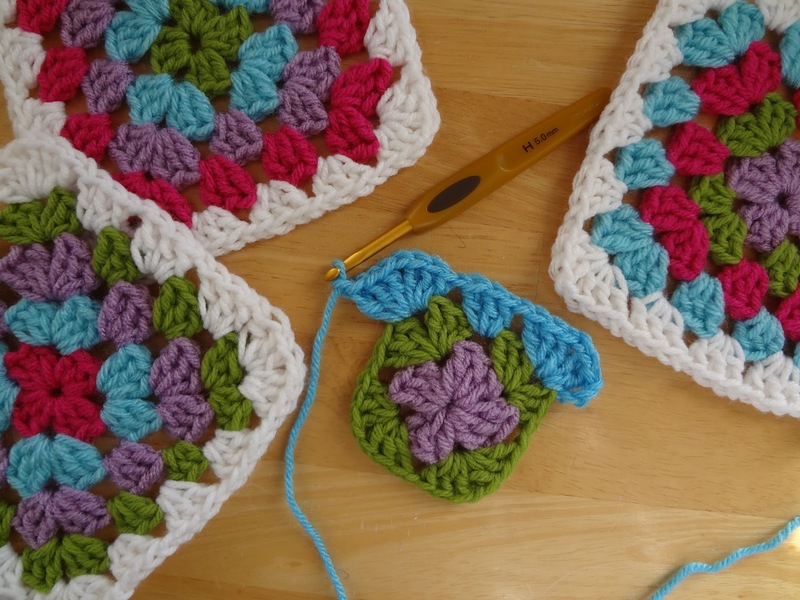 Granny Squares are among my most favorite things in the world to make. They are timeless, having both modern and vintage appeal. They are pleasant and cheerful and I enjoy having them around whether in the form of garments, afghans, or other fun things for the home. They are also super quick to whip one or more of them up, which is great instant gratification. Included are videos, plus a full photo tutorial too! Work (3 dc into center of ring, chain 1) 3 times, then 2 dc into center of ring. Join to close with a slip stitch. It should look like a little "plus" sign. To work the corner of round 2, first chain 4, then 2 dc in same space, then chain 1, then 3 dc in the same space...first corner done! Our next round will be a different color again, so complete the round by cutting yarn, leaving a tail, and fastening it with a slip stitch. Tie off securely. To work the side, simply work 3 dc in the next space as shown, then chain 1. Keep working in this manner, with two clusters in the corners and one cluster on the sides until you finish the round. Just be sure there is a ch 1 in between each grouping of 3 dc as you work each round. That is what gives you those pretty spaces in between each cluster. 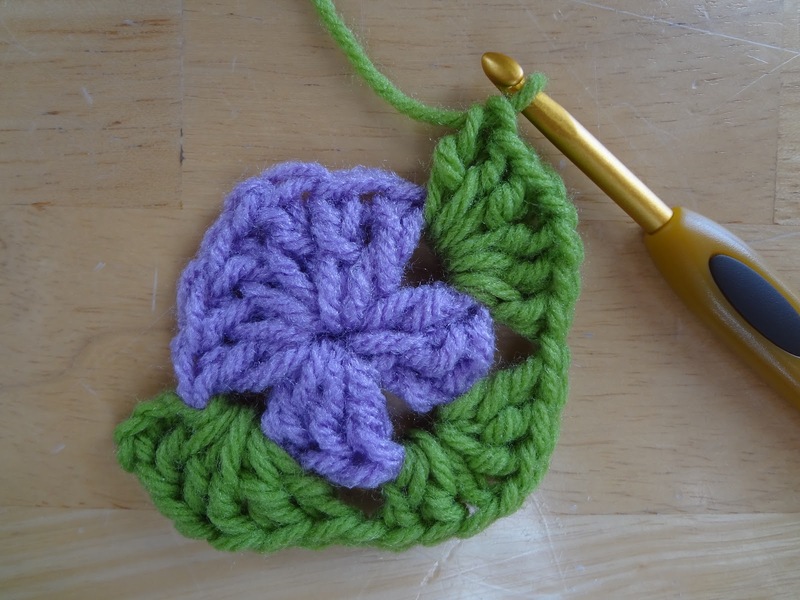 Join with a slip stitch and tie off. If you wish, your Granny can be complete at this point or if you would like to make it larger or more colorful, you can keep adding rounds by repeating round three. 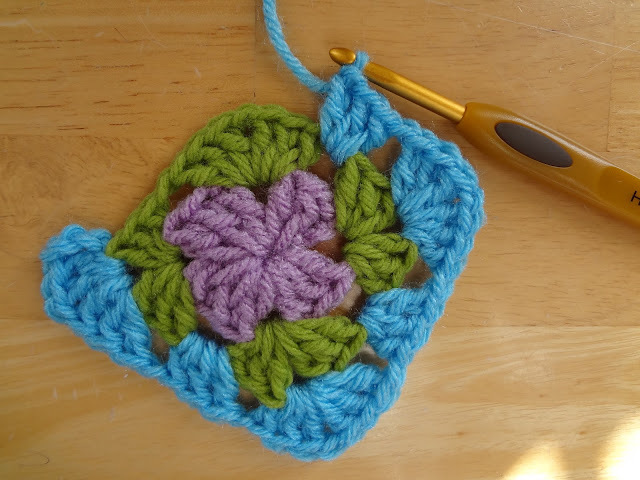 Try crocheting a bunch of Granny Squares in a rainbow of colors and joining them together to make a beautiful and unique afghan. Or keep adding rounds and make one large Granny afghan. 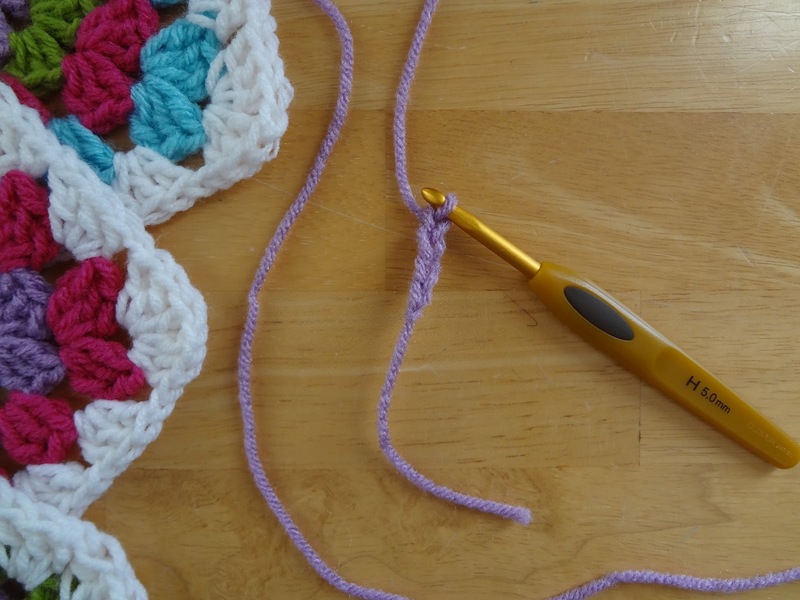 The possibilities are truly endless...happy crocheting to you! 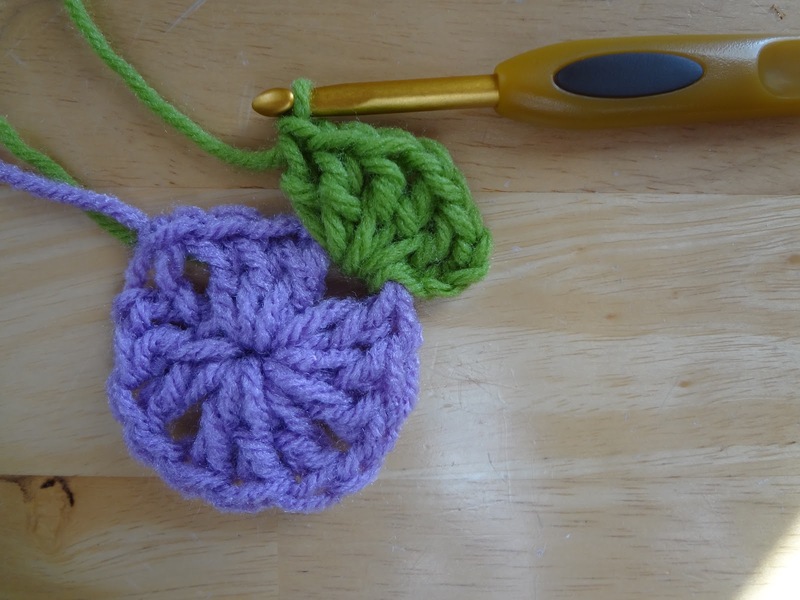 Thank you for your lovely free crochet patterns. Your illustrations and instructions are so clear and easy to follow. 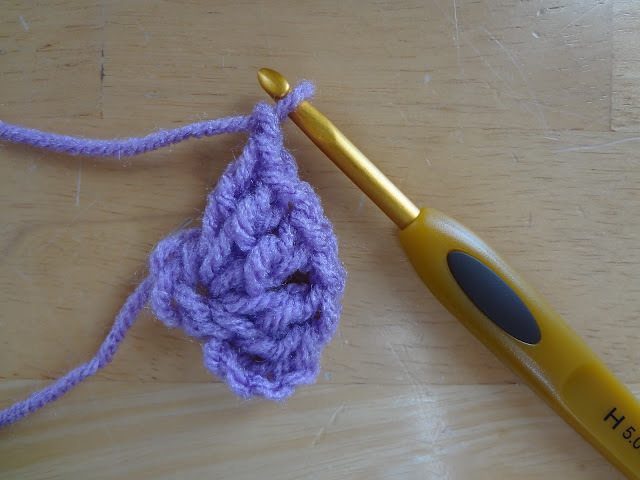 I'm new at crocheting and normally can't figure out the patterns; not so with your patterns. Your pictures are beautiful and make a nice reference to look at for beginners. I hope you will put up more free crochet patterns soon. I'm "hooked" on you and can't wait to see what you teach me next! From my Heart - A sincere and grateful - THANK YOU! And yes! There are lots more patterns to come! Stay tuned! Happy crocheting to you, I hope crocheting is as joyful and exciting for you as it has been for me! GREAT!!! 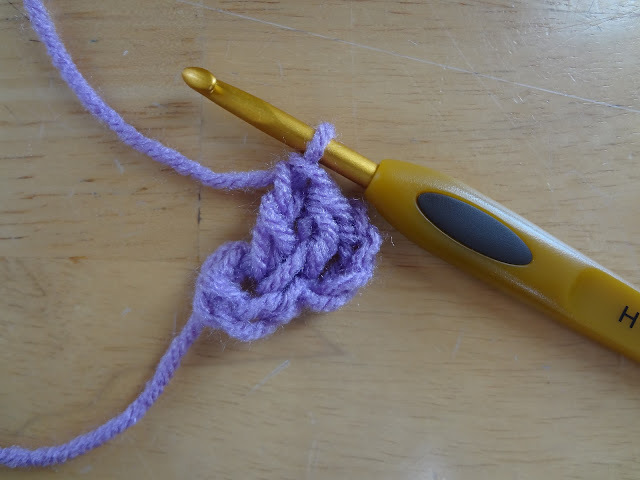 I've crochet for years, but I sometimes forget the patterns. This is an easy and great illustration for this pattern. I learned from my grandmother over 40 years ago. Yes, I needed a refresher. Thanks! I finally understand Granny Squares. This is the only pattern that really spelled it out to me. Thanks! 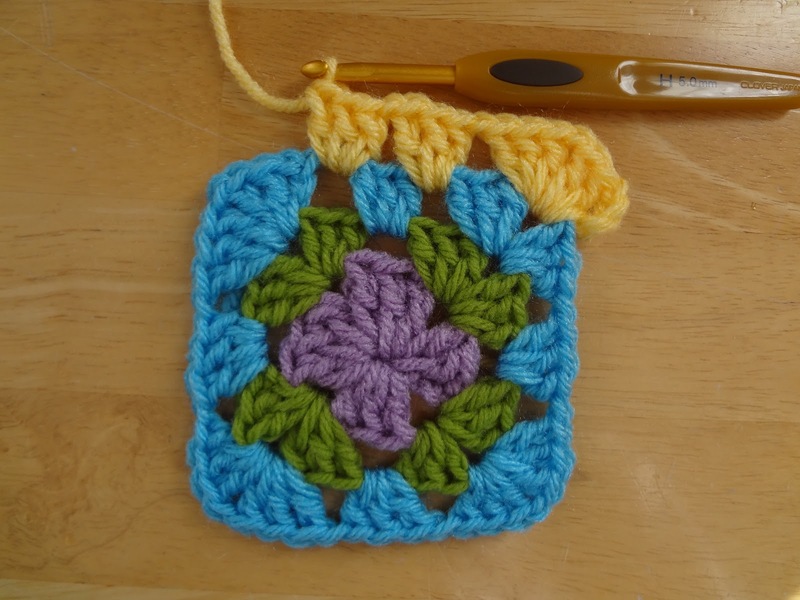 Jennifer, I just can't thank you enough for your wonderful granny square pattern! Like Bobbie commented above [July 29, 2012], your photos and directions are so clear and easy to follow! 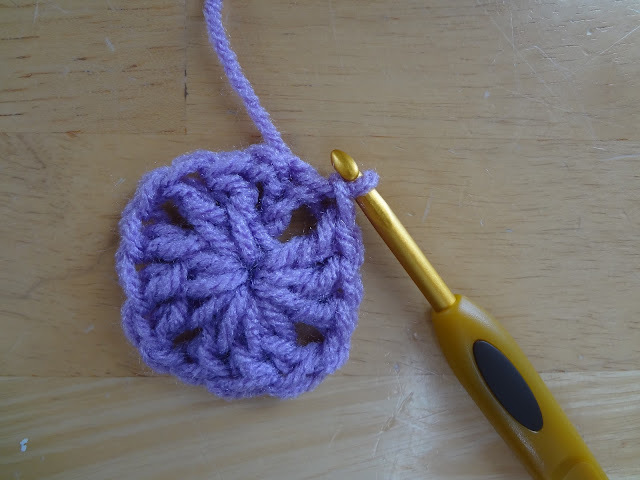 I am relatively new and self-taught at crocheting and normally get confused with all of the granny square patterns I've seen, but not with yours. I was about to give up and go back to knitting when I discovered your blog! Thank you so much for all of the time and effort you put into your patterns. I have printed a few of what (I think) look like the easier ones to continue my crochet "education". I am so impressed with how perfectly precise your stitching is. I attempted a granny square and mine looked so "messy". 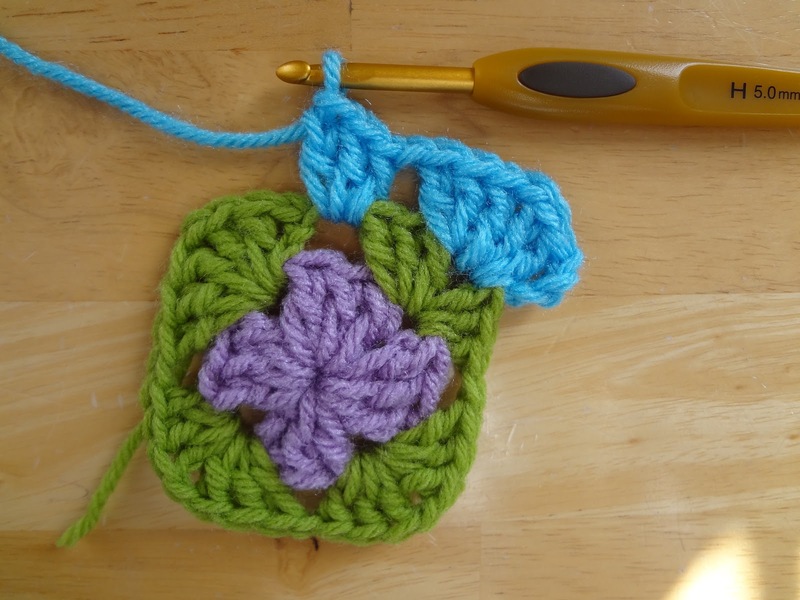 I just want you to know that you have renewed my determination to conquer the granny square! :-) Thank you Jennifer, I am so very grateful. Oh my goodness, thanks for your kind comment...so glad you tried again and had success. Happy crocheting to you! Can you knit a granny square????? I have never tried, but that sounds very interesting! Can you please make a video on the granny square? 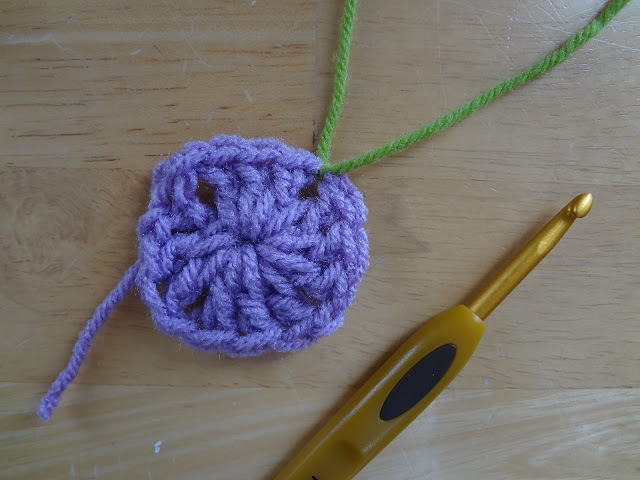 I'm a visual learner and a new crocheter, the other videos on squares are different than yours. Thanks! Definitely will do that, thank you for the suggestion! Thank you for your delightful and easy instructions! I have been teaching myself to crochet and have been practicing my stitches by doing dishcoths. Lots and lots of dishcloths. I have been contemplating doing an afghan but probably don't have the patience (or attention span) to take on something that large. 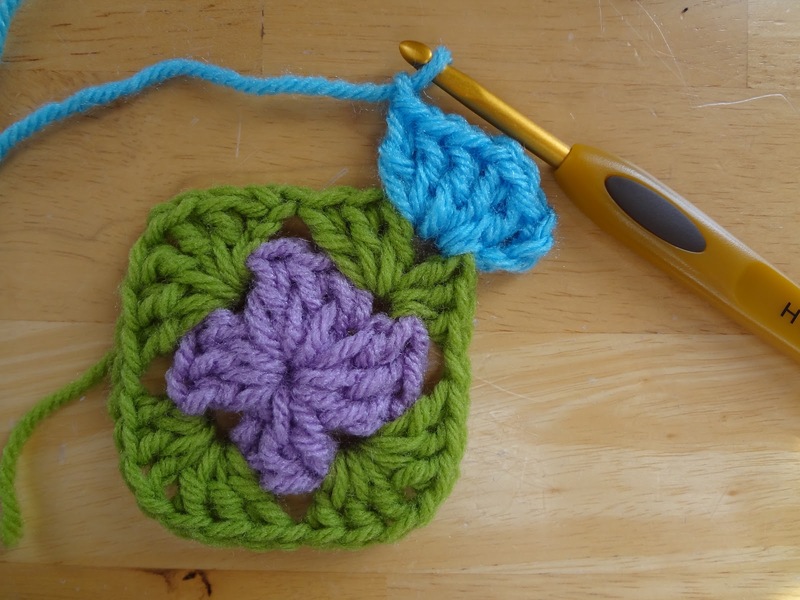 Not yet anyways :) However, granny squares might be the way to go! 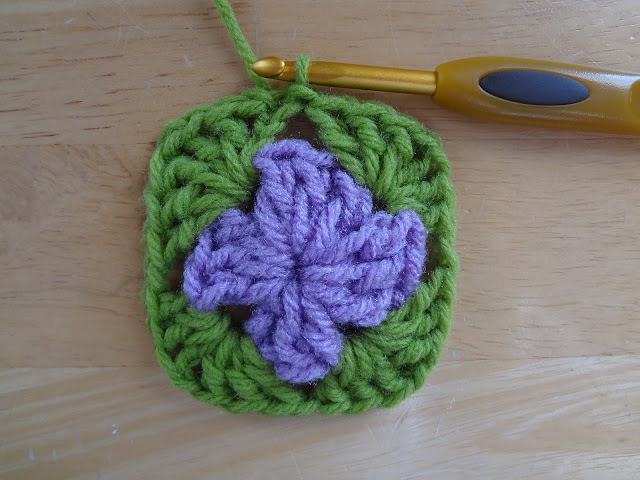 Thank you so much for the easy to follow tutorial on how to do a granny square. 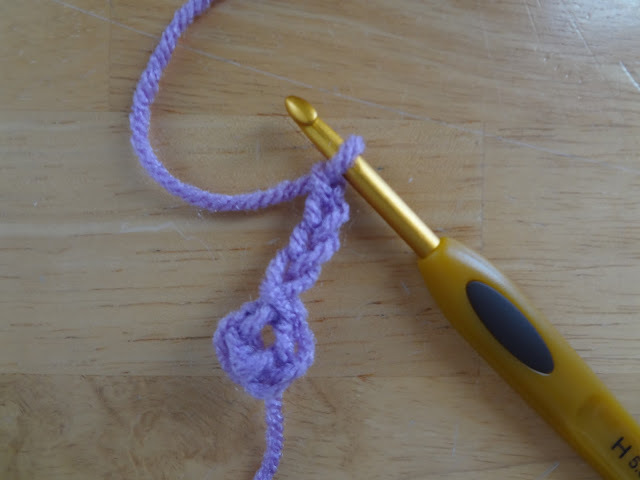 As a beginner to crochet I have found written tutorials hard to follow, and video tutorials are usually the same, leaving me quite frustrated at times. Now, after reading yours I feel confident enough to have another go at it. Once again thank you for making things easier for me to follow. Do you by chance have a printable pattern of this? How does this work when working the whole with just one color? Do you have to tie off and restart every round at a corner?